has been serving eastern North Carolina with quality foods and fine meats for 85 years. In 1928, only one year before the stock market crash that kick-started the era of the Great Depression, eastern North Carolina was already suffering from an economic turn-down that had put heavy burdens upon the many farms that produced much of the food products and income for this part of the country. But a man from around the Castalia, NC area by the name of Johnnie Williams had a vision. A vision to bring those products to market in an area easily accessible to the public. In those days U.S. Highway 301 was the main thru fare from Miami to Maine, so Mr. Williams' opened the 'Williams Cash Grocery' on Hwy. 301 at the corner of Church St. in Rocky Mount, NC. A heavily industrious area with its manufacturing and textiles made this area a perfect location for travelers as well as those working in the area. In the fall of the year when hog farmers would do their annual slaughters, Mr. Williams' market would be filled with the aroma of sage and spices from fresh loins, hams and sausages. It wasn't uncommon in those days for the farmers to come together and help each other at butchering time. Each would bring their own seasoning to mix with their own brand of sausage. Johnnie was no exception, he developed his own family recipe and it became an instant hit and has remained virtually unchanged since then, and is still one of Williams Foods finest selling items. As the Great Depression enveloped the country and Word War II began, Mr. Williams' entrepreneurship and great business sense had endured and he, along with his sons, had now turned his simple startup into a 20' x 40' super-market. These types of stores were still a new concept at the time, so to help identify it he would hang bananas and chicken crates outside, but Mr. Williams' friendly nature along with his willingness to customize food orders to meet a customers needs quickly turned Williams Foods into a well established name in the area. After the war ended and prosperity returned to the country Williams Foods had expanded and grew into a major presence in the food industry for eastern North Carolina. Their country sausage and fresh cuts of meat had became famous throughout the area, and the company had grew tremendously. 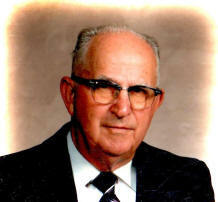 So, around 1985, because of age and health, Mr. Williams' decided to step down and retire and turn the operations over to his three sons, J.B., Bill, and Joe Williams. By this time Williams Foods had moved across the street into a two story facility on the corners of Grace and N. Church Street. As Interstate 95 was completed through Rocky Mount and replaced Hwy 301 as a major through-fare, the decision was made to enter into the Wholesale Food Distribution side of the industry, so under the the new management by Johnnie's sons they purchased delivery trucks and began what is now Williams Foods, Inc. A larger warehouse and a meat processing facility was added to meet the demands by customers for their now famous fresh country sausage, pork chops, chili, and portion servings of fresh ground beef, among others. Williams Foods customer base had now expanded to include schools, restaurants, convenient stores and etc.. To be able to compete with larger Food Distributors, they became members of the Nugget Food Group (now UniPro Food Distributors) so they could pass along savings to its customers. J.B., being a pilot and an entrepreneur himself decided to leave the company and follow a career in flying and servicing aircrafts (www.aircareav.com). 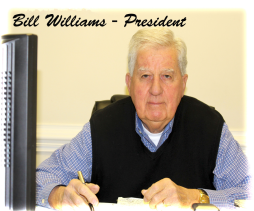 So after restructuring the company Bill Williams became president and Joe Williams became the vice president. They again expanded and bought Cozart Meats in Goldsboro, NC as well as the Cozart Chili line which also had a large customer base. In September of 1999, disaster struck and nearly forced Williams Foods to close its doors for good. Two back-to-back hurricanes struck the area with a vengeance. Hurricane Dennis a category one hurricane passed thru quickly without much damage, but stalled off the North Carolina Coast for several days dumping large amounts of rain over the entire area. Just as it had diminished Hurricane Floyd, a category two hurricane struck. Moving slowly over the already water drenched area, total destruction was about to occur. Massive trees came uprooted and the already swollen banks of the Tar River began to overflow. Over night the entire East Coast of North Carolina was hit with the largest flood that had happened in nearly 600 years, destroying everything in its path, Williams Foods only a quarter mile from the Tar River was no exception. The warehouse was flooded with five feet of water and its entire contents had to be dumped. All their delivery trucks and equipment was found floating in the parking lot behind the warehouse. But with the help of some very big bank loans and the manpower from its exceptional employees, Williams Foods was one of the first victims in the area to recover. Unfortunately, many others did not. and as a result Williams lost many of its valuable customers. In 2011 the Goldsboro processing plant was merged with Rocky Mount's operations and the old Cozart facility closed. As long as Williams Foods has been in the area, a lot of folks still doesn't realize that we have a public retail operation. Our Cash-n-Carry is open daily Monday thru Friday from 7:00 am until 3:00 pm to service walk-in customers with the same product line as our wholesale customers, and they don't have to buy whole cases of a product to still get those exceptional bargains. And we accept cash, checks, credit cards and E.B.T and SNAP cards as payment. One of the things that has always separated Williams Foods from its larger competitors is by being able to be a customizable food service distributor to the smaller 'mom and pop' operations. Larger distributors find it too expensive to service these smaller business' so they struggle to exist, but Williams Foods has built its reputation on helping them survive. Over the years many of our customers have requested information about purchasing restaurant equipment locally. Before the flood their was several well established suppliers in the area, and we kind of knew what each sold and would make recommendations where our customers might find a particular piece of equipment. But after the flood, not many suppliers were able to recover. So, in 2010 Joe Williams decided to open a restaurant equipment business to supply those needs. Trackside Restaurant Equipment was born and has expanded into an entity of its own. Located in the old part of our warehouse Trackside showcases some 3000 sq ft of new and used first class commercial restaurant equipment.